Charming Brick Ranch in Loveland! This adorable brick ranch at 906 Heather Dr offers plenty of space and a large yard with mature trees. The main floor has beautiful original hardwood floors, 3 bedrooms, and a large covered deck right off of the dining area. Both the main floor and the basement have wood burning fireplaces and full bathrooms. The basement has 2 bedrooms, one is non-conforming, and a large family room. Newer roof and ready to move into. Call for your private showing at 970-691-0056 for more information or click the link below for more details. How’s the Colorado Real Estate Market? Condominiums saw the largest increase in starts by a long shot, up 112% over last year- this is excellent news for first time buyers and those looking for product in lower price ranges. See all the latest facts, stats and trends of the Colorado market from the comfort of your own laptop. 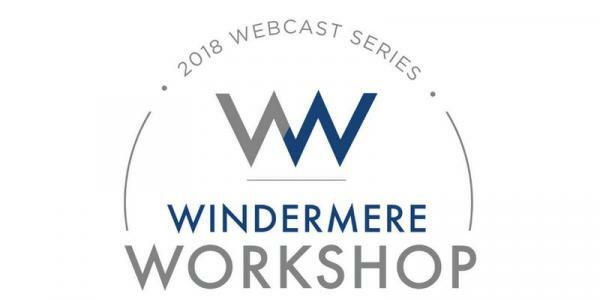 Watch the Windermere Workshop video for a mid-year market update. Let’s look at home prices relative to the median income needed to purchase the home. It’s true that home prices have appreciated year-over-year for the last 76 months in a row, largely driven by high demand and low supply. According to a recent study by Zillow, the percentage of median income necessary to buy a home in today’s market (17.1%) is well below the mark reached in 1985 – 2000 (21%), as well as the mark reached in 2006 (25.4)! Bottom line, interest rates would have to increase to 6% before buying a home would be less affordable than historical norms. Bright and Spacious Home in Longmont! This spacious 4 bedroom home at 454 Elliott St in Longmont offers mature landscaping and a large back yard. The upper level features 2 bedrooms, new laminate flooring, and an open floor plan-great for entertaining or family time. The lower level has a large entertainment room and an additional 2 bedrooms. The fenced in back yard is complete with a concrete patio, storage shed, and raised garden beds! Call for your private showing at 970-691-0056 for more information or click the link below for more details. This is a complimentary service for my clients and friends.